The regular leadership of the Local Union — the Officers, Executive Board, Negotiating Committee and Steward's Council — should constitute the leadership of the strike. In an amalgamated Local, the strike organization should be set up on a shop basis with appropriate support and guidance from the Local. All Committees should be set up and read to operate before the strike begins. Heads (Chairs) for each Committee, when and where the Committees will meet, what their responsibilities are, and how their work is to be coordinated, must be decided beforehand by the Executive Board. 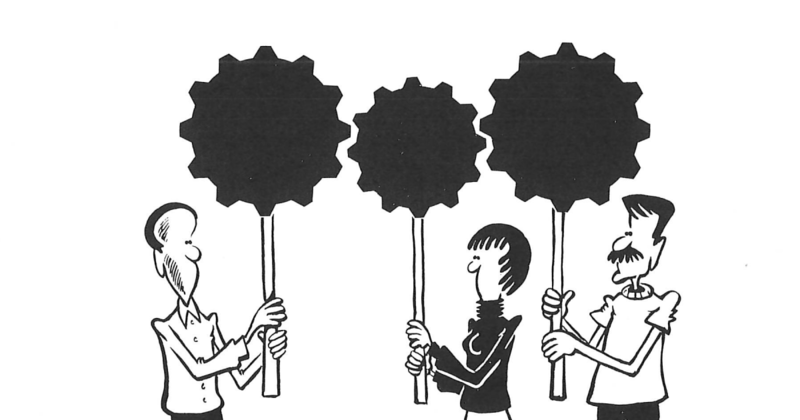 Committees will vary in size according to the size of the plant and the nature of their work. In setting up these Committees, special attention should be give not assign members to the work they are best equipped to do. In selecting Committee Chairs, care should be taken that they can devote all their time to the Committee without being overloaded with other responsibilities. Bear in mind that the success of their Committee may depend on their tact and knowledge of the problems. Assistant Committee Chairs should also be named to take over in the absence of the regular Chair. During the strike, it often happens that natural leaders arise outside the formal strike leadership. They should be encouraged and their efforts given recognition. It will increase the leadership depth in the Local.